It's common knowledge that the Microsoft Kin family of handsets suffered from a short life and quick death, with the hardware only being available for a matter of weeks. The poor devices never really saw the light of day when Microsoft's somewhat 'hip' mobile phones launched back in 2010. Issues ranged from the hardware being too expensive to having too few apps and being slow and sluggish. 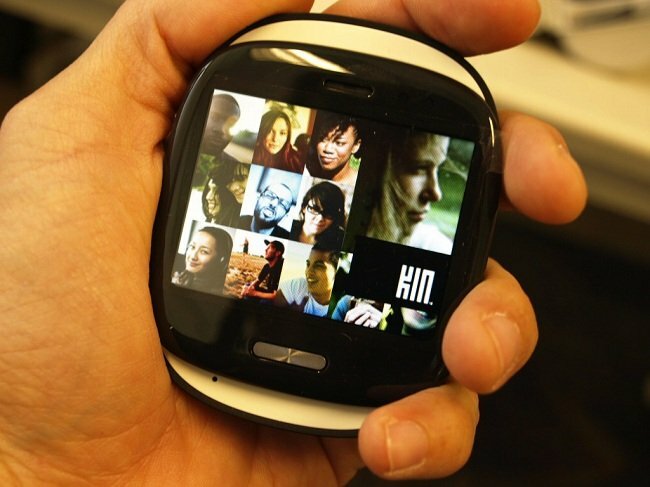 Internal videos have now been published that show focus groups testing the Kin (using pre-production units that reportedly changed very little from the shipping product). It doesn't look good at all for the ill-fated devices. Watching through the recorded videos will reveal just how bad the Kin was when it came to usability, with Wired's source (who reportedly worked on the project) stating the devices were a "pile of s**t". While of course the videos paint a bleak picture, they're actually fairly entertaining should you enjoy hearing a handful of testers bash / have trouble with a product. The first video shows testers providing open-ended feedback in their own words about the products. One tester said its frustrating and that he can imagine his daughter would give it back very quickly. One can see how the user experience is affected by poor performance and bugs. The next video shows the testers experiencing difficulties dialling numbers, and it's fairly humorous to see them attempt to deliberately go slow to ensure each number is selected and still failing. Imagine if Windows Phones were this difficult to use outside, let alone in a relaxed environment. Last up we have a video showing testers struggle with system 'lag' and touch screen issues. This is built on the video above where dialling numbers is proven difficult. Navigation through the OS is just as bad. It's fair to say that Kins had their fair share of issues, which Microsoft quickly decided to forget about and launch an intuitive mobile platform instead of further developing and fixing all the problems (and more) highlighted by testers.